Dr. Hans-Wilhelm Schiffer ist Lehrbeauftragter für Energiewirtschaft an der RWTH Aachen und Executive Chair World Energy Resources beim Wolrd Energy Council (London). 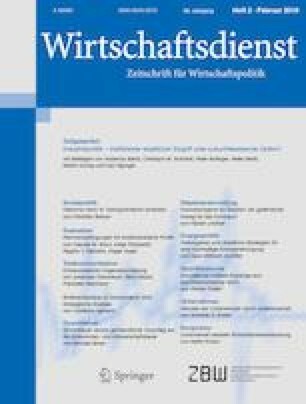 Bis April 2014 leitete er die Abteilung Allgemeine Wirtschaftspolitik/Wissenschaft der RWE AG Essen. Zuvor war er im Bundesminsterium für Wirtschaft und Energie sowie im Bundesumweltministerium tätig. This article analyses the extent to which governmental provisions and measures are consistent with energy policy goals including security of supply, economic efficiency and environmental protection. The study focuses in particular on the international, European and national climate protection targets and the instruments for compliance. Concrete proposals are being made for a cost-effective implementation of the energy transition, involving all sectors of the German economy. This leads to the conclusion that the German energy transition only finds imitators abroad, if it is proven that it meets all the goals of a sustainable energy policy, i.e. not only climate protection but also the security of supply and the affordability of energy.